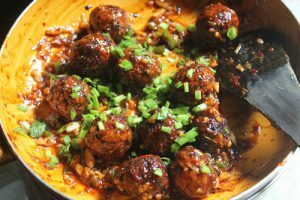 Manchurian is belongs to specifically Indian Chinese Cuisine. 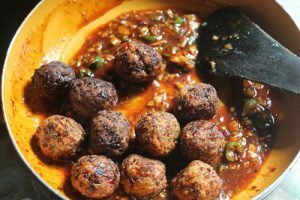 Manchurian is an indian chinese fried food item popular in India due to adaptation of chinese cooking to suit indian taste. There are two different variety of manchurian is popular dry and with gravy.Both had it’s unique taste, both are prepared by using common ingredients like cabbage, carrot, capsicum, spring onion, corn flour and refined flour etc. Here we prepared vegetable manchurian dry, In vegetable manchurian dry deep fried vegetables balls are cooked in soya sauce based gravy and served as a starter. 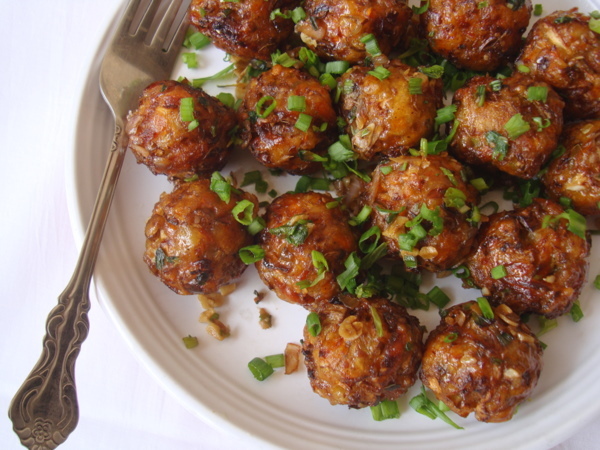 Vegetable Manchurian dry is very easy to make at home. Here is simple and easy step by step recipe. 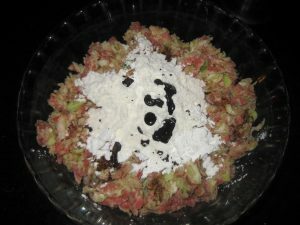 1.Take a bowl, add chopped capsicum, cabbage, carrots, green chili, ginger garlic paste, salt, black pepper, maida, cornflour and soya sauce. Mix properly. 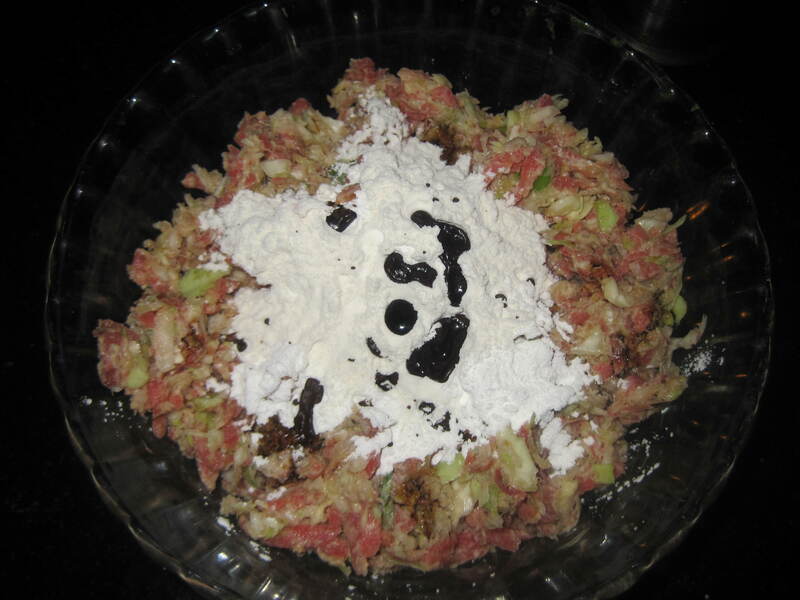 2.Prepare small round shaped balls from the mixture. 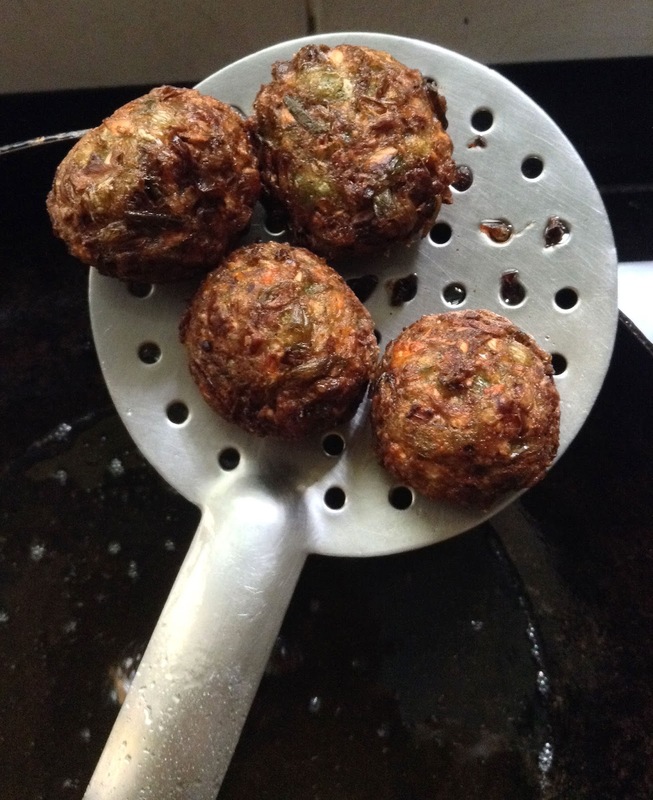 3.Heat oil in a wok, deep fry balls on medium flame till golden brown. 4.Transfer fried balls on kitchen paper.Keep aside. 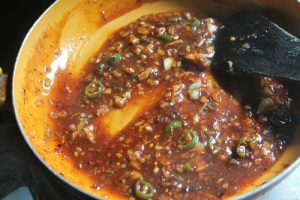 1.Heat oil in a pan, add crushed ginger, garlic, chopped onion,green chilli and spring onion saute for a minute, add soya sauce, chilli sauce, tomato sauce and vinegar,saute these for a minute. 2.Now add ¼ tsp cornflour with 1 or 2 tbsp water,stir very well. 3.Quickly add salt and black pepper and stir well because after adding cornflour the sauce will begin to thicken. 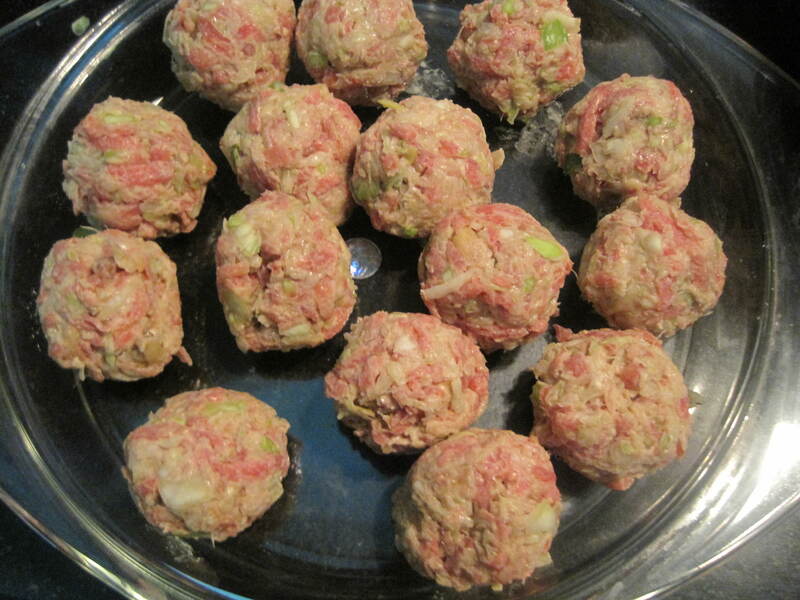 4.Add deep fried manchurian balls and cooked for 5 minutes on slow flame. 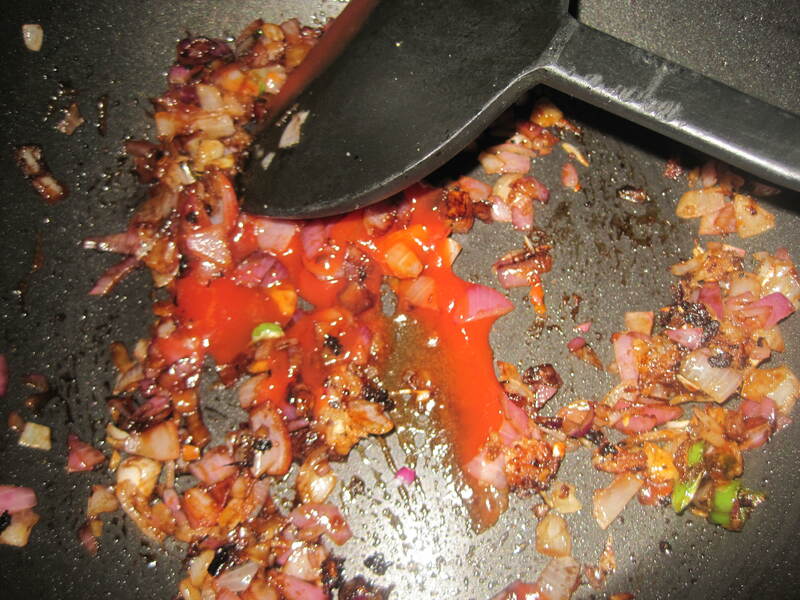 5.Off the flame, and transfer the dish to a serving platter, and garnish with spring onions. 6. 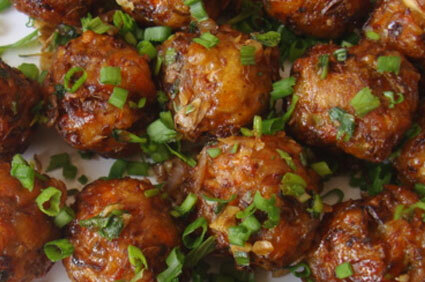 Relish your yummy veg manchurian hot as a starter snack. 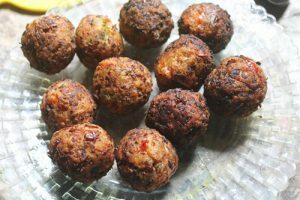 Enjoy your favourite Veg Manchurian Dry.